NeugerCommunications Group announced that it has opened a second office location in Minneapolis’ North Loop neighborhood at 800 Washington Avenue North. The office is located on the fifth floor of the TractorWorks building, a former John Deere tractor factory that has been renovated to encompass the building’s rich history with modern design. The firm’s headquarters remain in Northfield. The opening of the new office follows the firm’s recent acquisition of the Minneapolis public relations firm Henry Schafer Partners. The expansion is part of the firm’s growth of its public relations and marketing business serving local, regional and national clients. 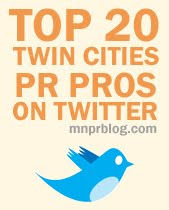 Neuger Communications Group is the largest marketing and public relations firm based in southern Minnesota. Now in its second decade, the firm serves clients in a wide range of markets including manufacturing, financial and professional services, senior services, healthcare, nonprofit, and heavy equipment and agriculture. The firm’s new Minneapolis office was designed to reflect the look and feel of the firm’s distinctive brand while incorporating the TractorWorks’ warehouse loft structure and brick and timber design. The renovation was completed in August by a team that included the engineering, interior design and architectural services of Krech, O’Brien, Mueller & Associates, Inc. and contractor SullivanDay Construction.